Surrounded by unspoilt white sandy beaches, stunning coral reefs, and enchanting underwater, environment Menjangan Island is a perfect definition of what natural beauty is all about. Located about 10Km North West off the shore of Bali’s mainland, the small island of Menjangan forms part of the West Bali National Park Conservation Area. The word “Menjangan” in the Javanese language means “Deer”. According to Wikipedia, the name was given by the local population who observed wild deer herds swimming to the island every spring covering a distance of approx 1.2 miles. The island itself is surrounded by a coral reef, characterized by deep drop offs of near to 60 meters and by complex rock formations. These distinctive features have given rise to a great number of large and small caves, festooned with sponge and soft corals and often inhabited by large groupers, moray eels and by young snappers and batfish in the smaller caves. The sea beds are also rich in large barrel sponges and vibrant sea fans, some of which are truly enormous. Given the depth, the moderate flow of currents and its protection from strong winds, it is common to see tuna, shoals of jack-fish, batfish, angelfish, sea turtles, and on occasion also sharks, especially off the outer corners of the island. The island is also known as the location for the best wall diving in Bali, with a very bright & colorful underwater world and lots of different sites to choose from. 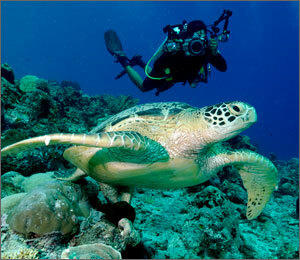 These dive sites are rich in marine life and sandy beaches to relax over lunch. At a depth of 45 meters the Anchor wreck is found. Also called the Anker or Kapal Budak (Slave Ship), the site is an old wooden ship wreck sitting on the sea floor on the western tip of Menjangan which is either an 19th century Dutch ship that sunk during WWII or one that sunk much earlier during the Dutch colonial era while supposedly carrying Balinese slaves to Batavia (now Jakarta).The wreck contains a cargo of ceramics and glass bottles and is completely colonized by soft coral; an excellent place to meet turtles and shark. Named after a large colony of garden eels, the Eel Gardens dive site lies on the western point of Menjangan in a shallow area with some dazzling white sand that is a pleasant dive in itself. The dive starts on a nice wall (about 40m) with a lot of beautiful gorgonians and other sea fans then continue over the top of the reef to a stretch of white sand. 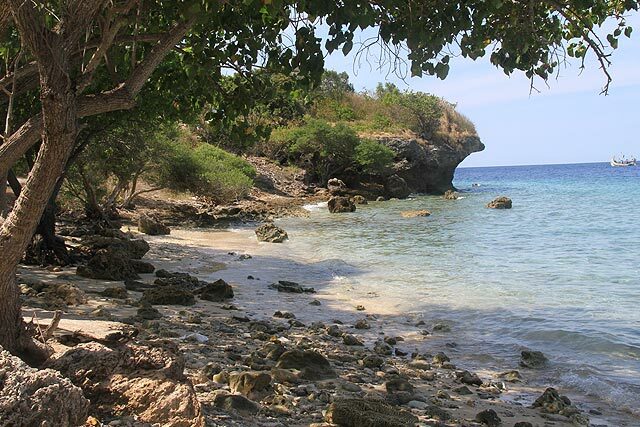 Arguably, some say that this is the best part of Menjangan Island. And there is a big surprise for macro-photographers, video-operators and marine biologists at the Secret Bay”. 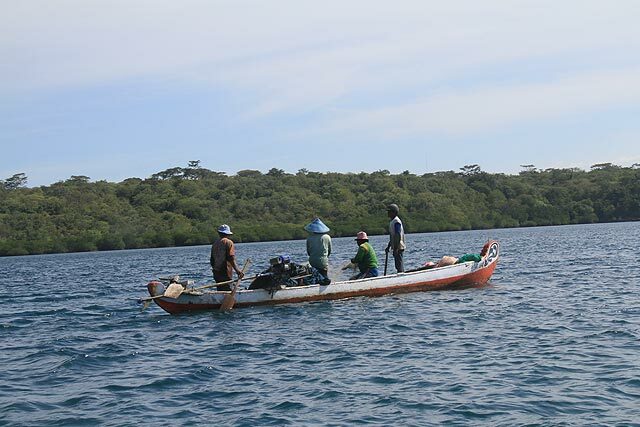 In the small bay near the ferry port of Gilimanuk, a strange play in currents has rendered the water temperature here to be more, at most 25 degree C, which has created a habitat for Pacific and Indian Ocean species, with often hybrids between the two. The muddy shallow beds, mixed with algae and debris, are host to truly strange marine creatures, some of which have recently been discovered by marine biologists for the first time, such as the 4 types of anglerfish including the Sargassum Anglerfish, Spotfin Anglerfish and one in particular that has created great interest among biologists, locally called the Tono’s Anglerfish. Apart from the anglerfish, the bay is host to numerous different sea horses, dragonets, ghostpipefish, nudibranches, lionfish such us the Blue Finned lionfish, ribbon eels and much more. This unique bay has been and still is the preferred location of some of the world’s most famous underwater photographers and filmmakers, as well as researchers and marine biologists. Next page Next post: A glimpse of private art collections in Brussels! !